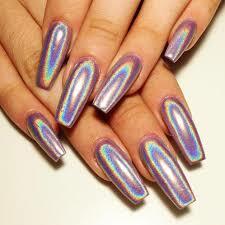 If there is one mesmirizing trend that has taken the nail world by storm... it is Holographic nails. They have very fine microshimmer effects that give off multicoloured shimmering rainbows when viewed at different angles in different lighting. They are amazing!! Accent Nails $5.00 per nail or Additional $20.00 with any Shellac nail service. 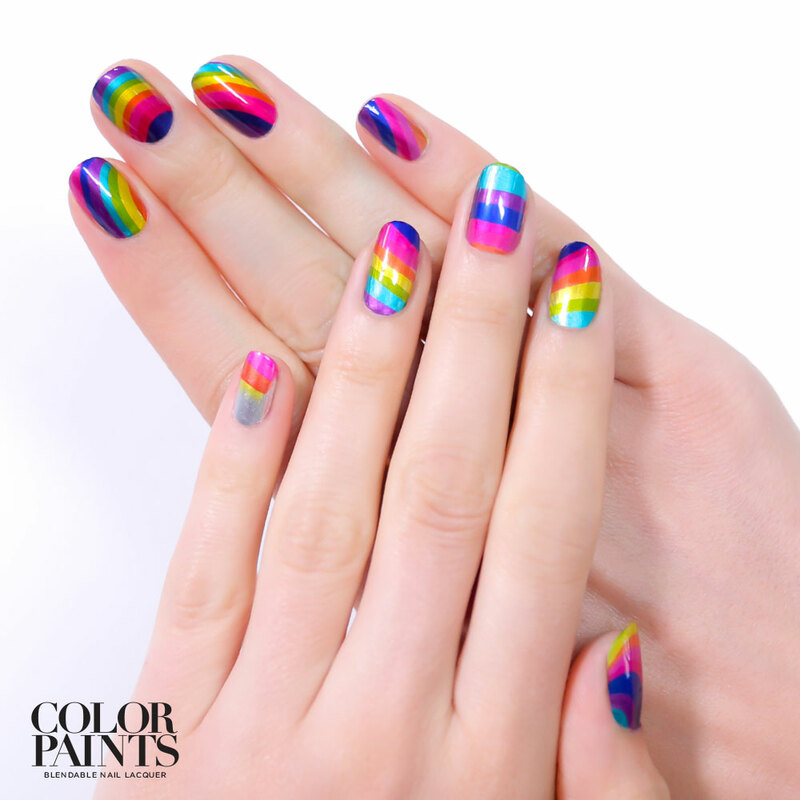 Chrome Nails are a shiny new nail art trend. 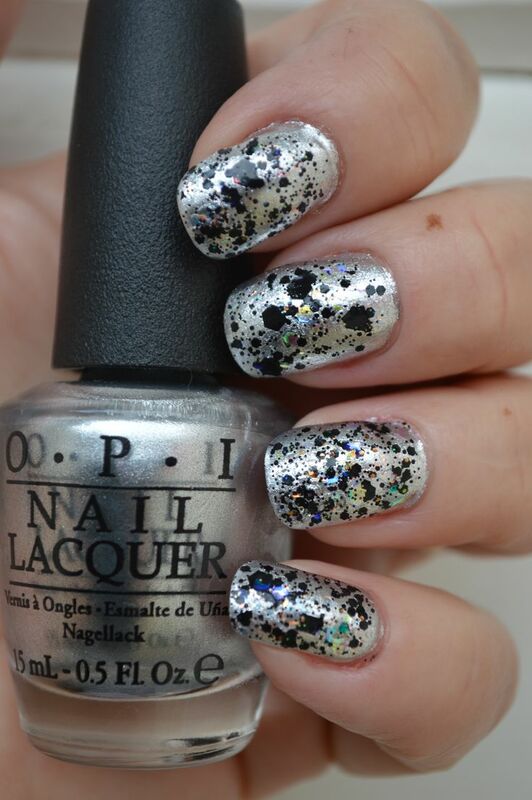 The bold look is achieved with a highly pigmented silver powder on the nail surface. The results are out of this world! 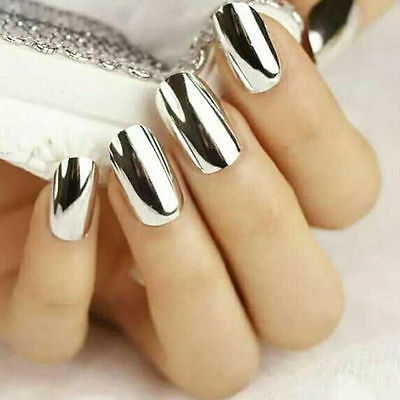 While silver over black is the "classic chrome manicure", there are variations on this nail look, depending on your choice of base colour and powder colour. Color Paints Let us turn your next nail appointment into a paint party using 8 new blendable OPI shades. Expect the unexpected when we blend them, layer them or team them up to create a masterpiece of colour for your nails. Bubbly Effect turns your nails into a thousand coloured bubbles. Bubbly effect is the latest craze mimicking marbled nails. By layering the bubbly effect colour over any nail polish colour...the possibilities are endless! Choose from 5 fashionable colours White, Cherry, Blue, Black and Red. 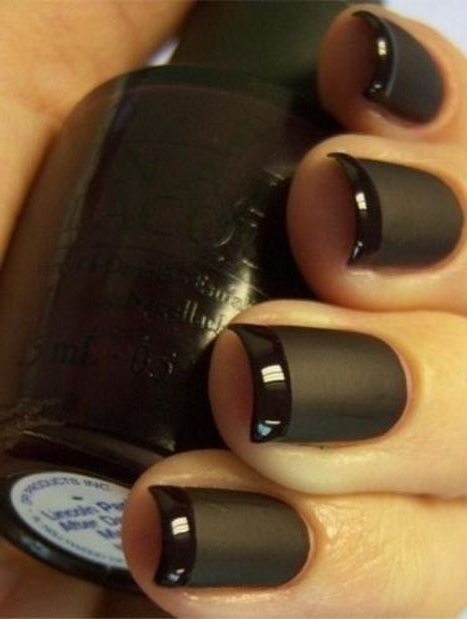 Matte Nails are the polar opposite of the super shiny nails we have been used to wearing. Take your manicure to a new dimension with a fashionable matte finish. The best part... we can turn any colour into a matte finish. With Holiday Collection Nail Glam is in the bag... What better way to celebrate the silly season than with some glittery nails. Bar glitter? Square glitter? Round glitter? Clear glitter? Irredescent Glitter? Black Glitter? White Glitter? We've got them all! It’s festivus maximus all up in here! Layer it over, Red or Green or Gold or Silver or Bronze or.....over any colour really! Hologram Effect is a nail polish formulated to capture light and transform it into amazing, ever-changing liquid swirls and ultra dimensional colours. Choose from 8 spectacular colours. Mirror Effect is a shimmering chrome mirror nail polish that reflects light and gives your nails the look of polished metal. The polishes are quick drying and dry to a high shine and are currently available in 8 fashionable colours. Caviar Effect your next manicure will have an edgy look with these colourful micro beads. Either match the glass beads with your polish or choose a contrast colour to have an colourful accent nail. Choose from 12 vibrant colours. Liquid Sand dries to a textured matte finish with reflective glints of light. It looks and feels like beach sand (hence the name). 19 amazing colours to choose from. Can be worn with or without top coat. Shatter FX can be applied to the surface of any nail polish. After application it dries unevenly causing cracks to appear on the polish surface. The results happen right in front of your eyes leaving you with a stylish effect. With 27 shades to choose from, simply pick a base colour and we will add the effect. Magneffect is a revolutionary nail polish that uses a special magnet to create tridimensional nail art designs within the nail polish, in seconds. The polishes are quick drying and dry to a high shine. Available in 24 modern colours.